#34 Mamima Heart Made, a photo by mamima project on Flickr. 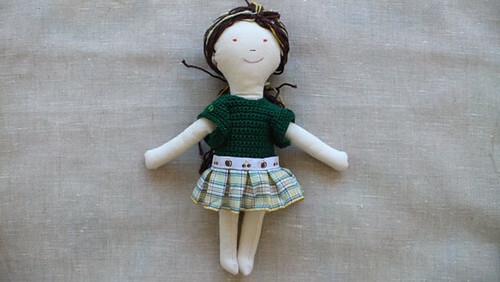 We are pleased to HUG you with the #34 doll from Mamima handmade collection. This is the Beatriz Mamima pattern with approximately 26cm L x 7cm W, just the right size to carry around wherever you go. The body is made on fabric and poly filled. The hair is stitched to her head. The dress is removable and is made of fabric and knitting. The dress has two little buttons and is unsuitable for young children.